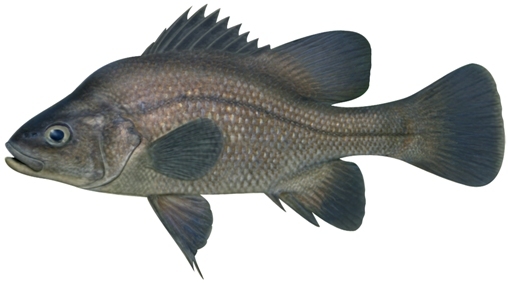 The Macquarie Perch is a freshwater fish that is native to Australia and found in the Murray-Darling river system. Although it is found predominantly in the Murray-Darling river, its name is derived from the Macquarie River where the specimen was first collected. 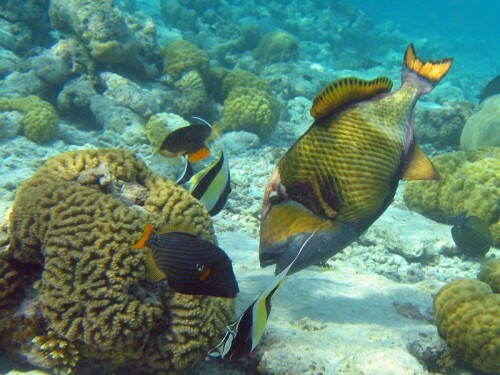 They are medium-sized fish that are about 30 to 40 centimeters long, and weigh between 1 to 1.5 kilograms. The maximum size recorded was 2.5kg and was 50cm long. They have an elongated body that is deep and laterally compressed. 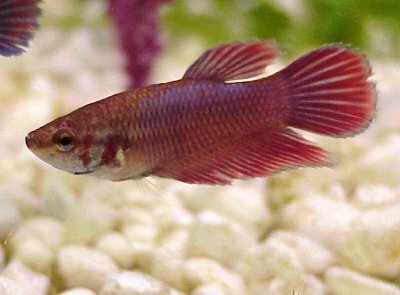 Their fins are rounded, and their spiny dorsal fin is strong and medium in height. However, their eyes and mouth are relatively small. Their colours vary, and range from tan to a more common dark purple-grey to black. Their irises are silver. Males are shorter than females. The Macquarie perch is a placid fish, and their diet usually consists of aquatic invertebrates like mayfly, stonefly, and caddisfly species. They also sometimes eat land insects as well. They are an upland fish, and their breeding procedures are also clearly adapted to flowing upland rivers and streams. As a result, the Macquarie Perch is difficult to breed in artificial farms as the captive females do not produce ripe eggs when they are in tanks or broodponds. They usually breed in late spring when the temperatures are about 15 to 16°C, in flowing waters that run over unsilted cobble and gravel. The egs sink into spaces between the gravel and cobble, where they lodge and are protected throughout incubation until it is time to hatch. Although it is native to the Murray-Darling river, they have actually managed to cross over the Great Dividing Range into other water systems. For example, they are found in Shoalhaven and the Hawkesbury-Nepean river systems. However, there is debate whether these fish that are seperated by the Dividing Range are different species of fish as they are isolated from the normal populations, plus other genetic forces. The major differences between these two supposedly different species are that the ones to the east are smaller with a maximum size of 15 to 20 centimeters, and are reported to have 1 less vertebra than the Murray-Darling species. 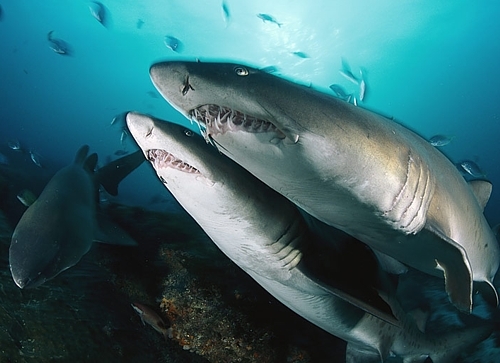 However, there is some scientific evidence to suggest that the Shoalhaven species may be close to extinction as the area has dams and encroachment of legally and illegally stocked fish species. The species at the Hawkesbury-Nepean rivers are also threatened by trout and exotic fish, dams, siltation, and urban encroachment. However, they do not appear to be as critically endangered as their Murray-Darling siblings. 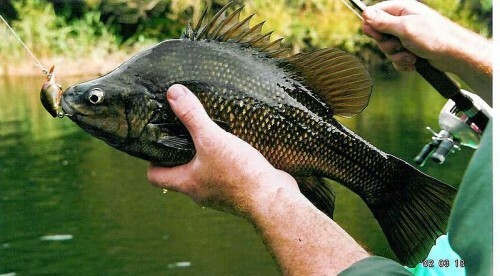 There also seems to be a self-sustataining Macquarie Perch population in the Yarra River, on the outskirts of Melbourne. At present, the Macquarie Perch found in the Murray-Darling is listed as endangered by both Victoria and the Commonwealth. They are endangered due to habitat degradation, overfishing, and the regulation and flow of dams.